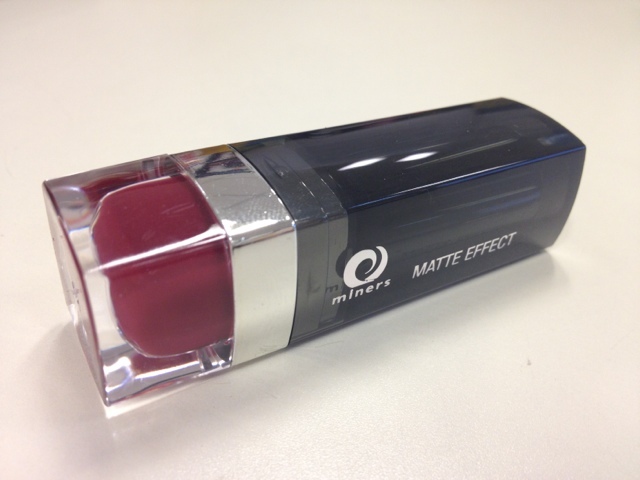 Miners Cosmetics Matte Effect Lipstick in Vixen | Vanity and Everything in Between. Last month, I finally got Miners Cosmetics lipstick in Vixen. I got so curious about this lipstick because Sarah, owner of Makeup Hub, swears by this and claims that this is her favorite lipstick! 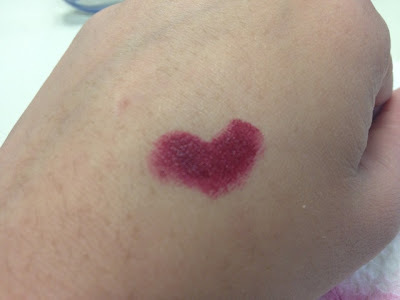 Quite honestly, I couldn't quite figure out the shade of this lipstick. It's red but not really. I'm thinking this is similar to my MAC Rebel but I can't seem to see how this is more plum than red. I like this lipstick! The shade is just gorgeous! Photos above are photos of the first time I ever used Vixen. Even my officemates like it! I've read some comments that this could be a dupe for MAC Rebel. I digress, though. I'll make a review on my MAC Rebel against this lipstick to see how they're different. This shade is more of Pink-Red then Plum-Red. I love its matte texture. 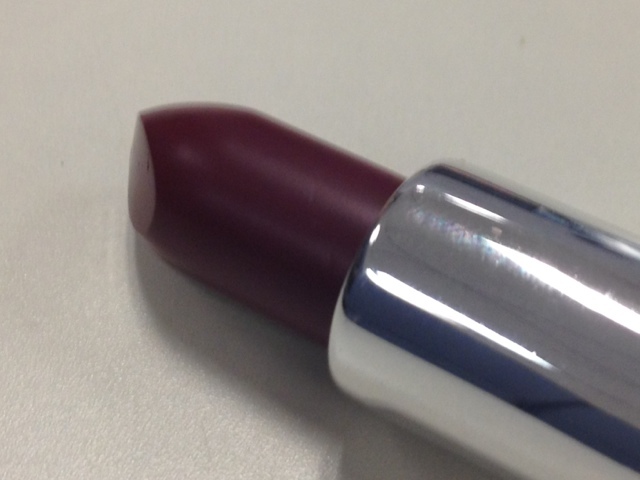 Unlike most matte lipsticks, this one isn't drying on the lips. 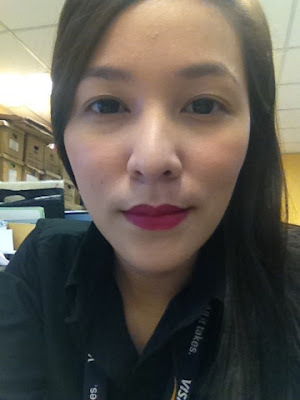 It's easy to apply as well unlike Wet n Wild matte lipsticks. 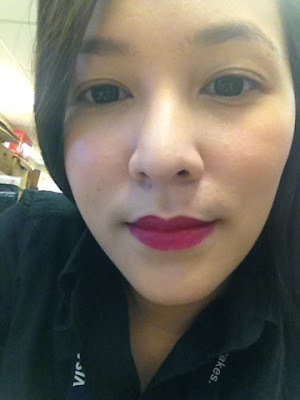 You won't see me wearing this shade of lipstick everyday at the office. It's a bit too "out there in your face" shade. I usually use this after work and on weekends unless I feel like being a little too bold on certain days. Miners Cosmetics lipstick retails for PhP300.00 and is available online at Makeup Hub. They also have a store located at Cabana Shop in Makati. Happy Friday, ladies! Rock out this shade since it's the weekend! I'd love to see which one is better this lipstick or MAC Rebel. 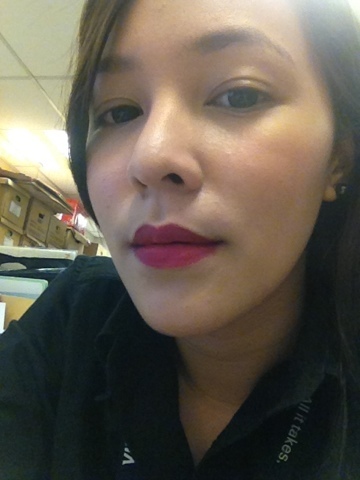 I'm need of a deep plum lippie. This shade looks great on you! Stay pretty! This is such an awesome look for a Halloween party!! You're so pretty sis! I'll review MAC Rebel soon!